Every year since 1930, Oxford and Cambridge have held an annual competition. In recent years, there have been four teams representing each club during Varsity: Men’s A, Men’s B, Women’s, and City. The latter team consisted of seven men and one woman. However, we’ve seen an increasing number of girls and women on the mat, and have felt that a single woman is simply not reflective of the numbers, passion, and skill we see regularly. And so, in 2019, Oxford and Cambridge agreed that it was time for a new and exciting addition. Introducing: THE WOMEN’S CITY TEAM. 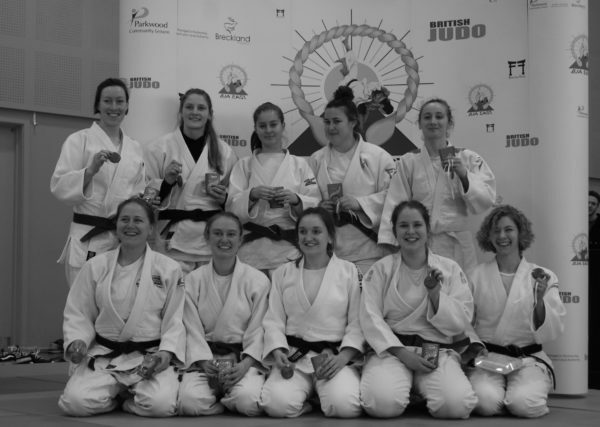 The team will have five female competitors who train with the clubs, giving them the opportunity to represent their teams, and battle for glory (and for the pure fun of it). Oxford’s inaugural team were Ella Joyce, Emma Burnett, Georgie Allsworth, Abbie Clayton, and Sanna Djurhuus. Cambridge won the match (4 to 1), but that’s OK because, well, there’s always next year! We are so, so proud of our women for stepping up. They were enthusiastic, powerful, and gracious.